The power of this volcanic island creates an energy that overwhelms the senses. A volcano embraced by the Aegean, this island-phenomenon in the Cyclades gives its visitors a mythical experience. Santorini – also known as Thera in Greek – is the island immortalized by poets and painters, thanks to its celebrated light, multi-colored cliffs and picture-perfect sunsets. On this island all senses are magnified, a product of its many contrasts: black earth against whitewashed homes clinging to the cliffside, or wild volcanic sculptures against sleek Cycladic lines. 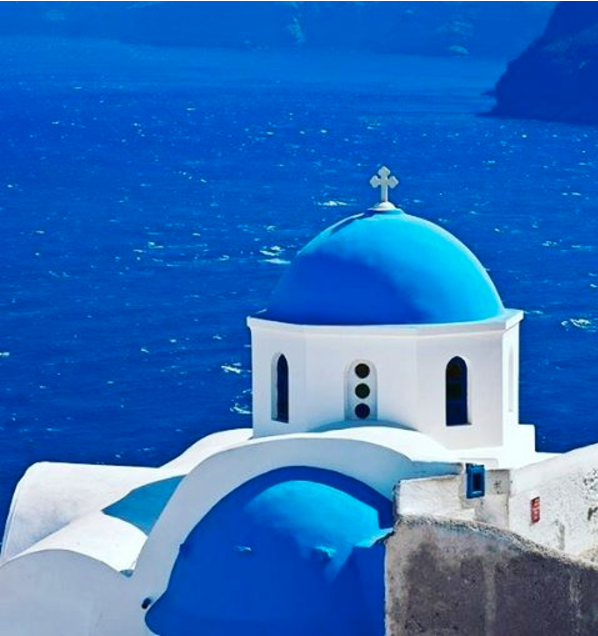 Santorini is lined with unique beaches in exotic colors of black, red, and white, a product of their volcanic sand. At Kokkini Paralia (Red Beach), Aspri Paralia (White Beach), Perivolos, Perissa and Kamari, the volcanic earth creates immortal works of art. Comfortable sun beds, hammocks, cocktails and delicious snacks await you at all of the organised beaches of Santorini.